The humble tomato. It’s the base of many great dishes from across the globe, including tasty pasta sauces and refreshing summer salads. However, over the years, scientists have discovered that many of the natural compounds contained within tomatoes boast a plethora of health benefits. From lowering blood pressure to boosting heart health, tomatoes are, without a doubt, a superfood. But did you know that recent studies have discovered an anabolic compound that could help build muscle? This fantastic new discovery means there’s a new healthy and natural compound being thrown into the mix - and the supplement industry has started to take note. This compound is tomatidine, and some are suggesting it’s a great natural anabolic supplement if you want to build muscle. And the best bit? Scientists also believe tomatidine could provide a vast array of other benefits, too. Throughout this article, we’ll explore exactly what tomatidine is and the fabulous ways it could help you and your fitness regime. As we’ve already established, tomatidine is derived from tomatoes - but not the luscious, red, ripe ones we buy from stores. Instead, tomatidine is found in greater quantities in green tomatoes and is produced when alpha-tomatine is digested in the gut. So, we just need to switch our red tomatoes for green tomatoes, right? Well, not exactly. Even though scientists do suggest that it’s safe to eat green tomatoes in moderation, they aren’t sure exactly how many we’d need to eat to achieve the similar dose of tomatidine they used when they were testing it on mice. That’s why tomatidine supplements look to garner the same positive benefits but without you needing to chow down on tonnes of green tomatoes each day. This involves a synthetic production process, whereby hydrolysis is used to extract tomatidine from tomatine (a compound that’s found in the leaves and stems of tomato plants as well as the fruit of a green tomato). Known as a “sterol alkaloid,” tomatidine is a steroid compound that occurs naturally in fungi, animals, and plants. 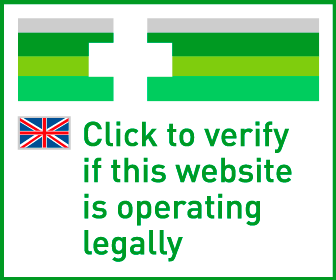 Therefore, it’s nothing to do with banned steroid substances and instead falls into the same category as other steroid compounds or sterols, like testosterone or cholesterol, for example. 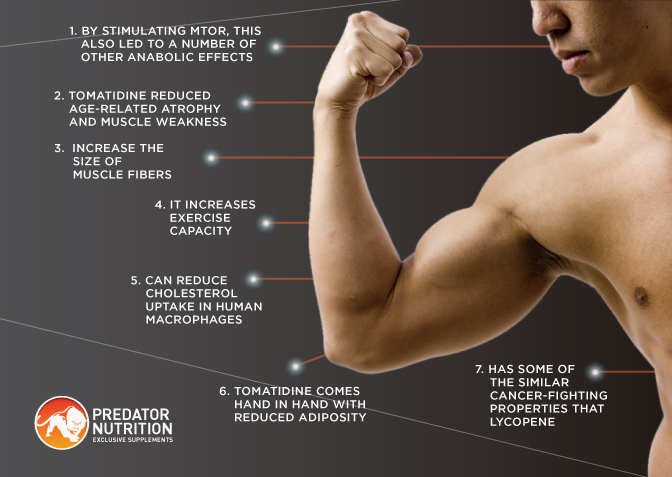 A number of scientific studies have revealed that tomatidine isn’t just healthy but it’s also got some amazingly effective benefits, too - one of which is building muscle! When studying mice, scientists discovered that tomatidine was associated with the activation of mTORC1, which is a renowned mediator of muscle growth. By stimulating mTOR, this also led to a number of other anabolic effects, including a great expression of anabolic genes that code for an anabolic protein factor (PCG1-a) and insulin-like growth factor-1 (IGF-1), an anabolic hormone. This revelation is huge for all types of athletes, as stimulating mTOR is one of the most revered ways of increasing muscle gains when enjoying a high-protein diet. The above study also focused on how tomatidine can help reduce muscle weakness and atrophy, which become a particular problem as we get older. They did this by establishing what protein is responsible for the weakening and loss of muscles during aging (ATF4) - something that has previously been a mystery. This protein alters the skeletal muscles’ gene expression, which causes a reduction of muscle strength, synthesis, protein, and mass. The study then went on to explain how tomatidine (and ursolic acid) dramatically reduced age-related atrophy and muscle weakness in mice by turning off these genes, thus allowing the muscles to recover. Both of the compounds increased muscle strength or quality by 30% and muscle mass by 10%. This essentially restored the mice’s muscle strength and mass to what they were when they were young adults. This University of Iowa study not only discovered that there was increased mTORC1 signaling, but that there were hypertrophic effects to tomatidine too. These effects increase the size of muscle fibers, with researchers documenting that a number of muscles had increased in weight, including triceps, quadriceps, gastrocnemius, and tibialis anterior (TA). In addition to gaining muscle mass, the mice also demonstrated increased muscle force and grip strength. A greater exercise capacity was achieved through the increased size of muscle fibers (in both slow- and fast-twitch muscle fibers). To demonstrate this, the researchers fed mice a standard chow formula that contained 0.05% concentrations of tomatidine, while also keeping a control group that was maintained on standard chow. These mice were then familiarized with running on a motor-driven treadmill, complete with a shock grid, for 5 minutes each day. During this stage, the treadmill incline was 0% and the speed was 14 meters per minute (m/min). After two days, their exercise tolerance was put to the test as the treadmill incline was put up to 10%. For the first 5 minutes, the treadmill speed remained at 10 m/min before being increased in 2 m/min increments every 2 minutes. Running ended when the mice contacted the shock grid for a total of 10 seconds. 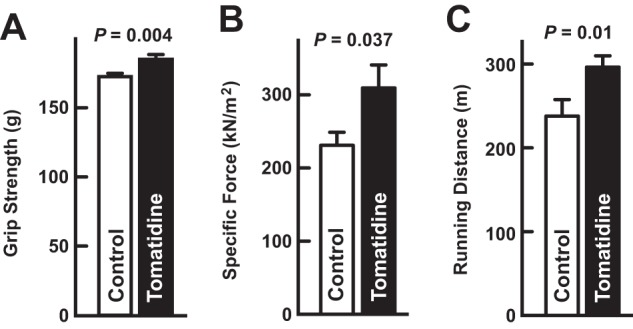 Researchers noted that the group of mice that had been consuming the tomatidine-enriched diet ran a far greater distance on the continually accelerating treadmill than the control group (as seen in the chart below). One of the best features tomatidine boasts is that it’s beneficial to your health - and the same can’t be said for a number of other anabolic supplements you may find available. One study, conducted in 2012, demonstrated how tomatidine and another alkaloid found in tomatoes (esculeogenin-A) can reduce cholesterol uptake in human macrophages (types of white blood cells that are responsible for recognizing and “eating” foreign bodies in our blood vessels). One of the foreign substances macrophages can absorb is cholesterol, which adds to the problem of clogged blood vessels. Therefore, researchers concluded that tomatidine and esculeogenin-A could work in the battle against atherosclerosis (a disease where plaque builds up in your arteries), perhaps working as well as some medicines that are currently prescribed for this condition. Not only that, but another part of this research also indicated that the oral consumption of tomatidine significantly reduced levels of LDL-cholesterol, serum cholesterol, and areas of atherosclerotic lesions in mice that were genetically prone to developing cardiovascular disease. As LDL cholesterol is often labeled “bad” cholesterol, these findings demonstrate how tomatidine could go a long way toward helping reduce the risk of heart disease and heart attacks. We’re already convinced that tomatidine could help us build up our muscles but it’s important to establish that it’s not going to increase our body weight, too. Thankfully, researchers have dispelled any concerns as they’ve discovered that the hypertrophy encouraged by tomatidine comes hand in hand with reduced adiposity. Win, win! As tomatidine boosts muscle mass and reduces body fat, it’s proving to be one of those natural anabolics that’ll be useful when teamed alongside body recomposition. Last, but by no means least, is the fact that tomatidine could potentially help us in the fight against cancer. And while this isn’t technically beneficial in building muscle, it’s still nice to know that your supplements are doing so much more for your overall health! Lycopene (another compound found within tomatoes) has already been hailed for its various health benefits, including its ability to ward off certain types of cancer. But it appears that its close relative, tomatidine, could also prove to have the same unbeatable benefits. Scientists discovered that tomatidine has some of the similar cancer-fighting properties that lycopene has, which definitely warrants more research and human-based studies to see just how advantageous it may be. As researchers continue to showcase the benefits of the variety of compounds found within tomatoes (including tomatidine, tomatine, and lycopene), scientists are keen to explore the antibiotic, antioxidative, anti-inflammatory, and immunostimulating effects they can have on cells, humans, and animals in more detail. 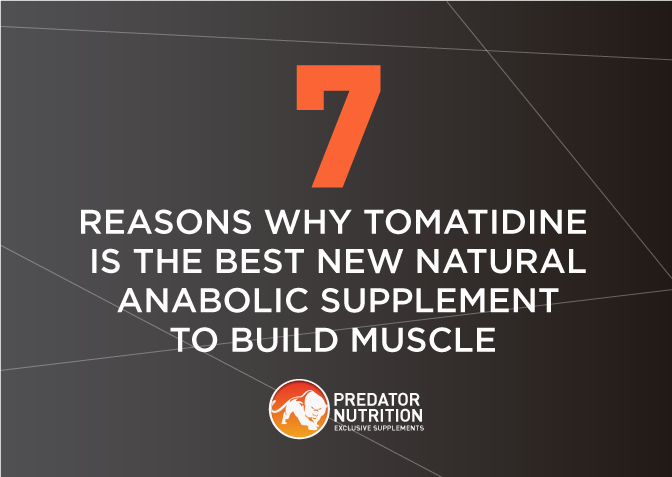 As ever, there’s still plenty more research that needs doing in order for us to say that tomatidine muscle-building supplements are the sure-fire way to enhance your fitness regime. 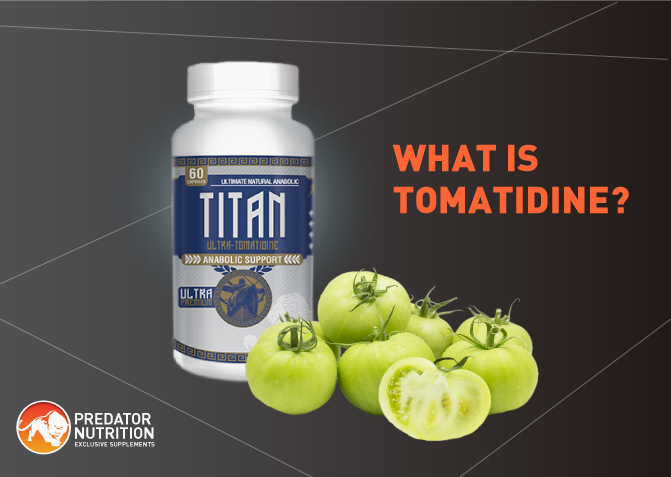 However, one thing’s for sure, tomatidine not only looks beneficial for building up muscle and reducing fat but in boosting our overall health, too - and that’s why this natural supplement is at the top of our shopping list!